Brief Description: Welcome to the world of football-mad Troy Brown, a typical fifteen-year-old, with a loving family, a tight-knit group of friends, and a nice house in Cowes on the Isle of Wight. Materially, he has a comfortable life – but then no hormone-ridden, angst-filled teenager would ever describe their life as comfortable, and Troy was no exception, plagued as he was by ‘the whole world is against me’ complex, ‘no girlfriend’ syndrome, the pains of unrequited love (or lust) and the usual hoard of teenage frustrations and obsessions. A privileged peek into his very private ‘warts and all’ 2003 diary reveals the transformation of his boring, ordinary life, as Troy tries to negotiate the many twists and turns in what was to become the most extraordinary year of his life, fraught with family secrets, misunderstandings, dangerous liaisons, challenging adventures, shocking realities and unexpected outcomes, interspersed with teenage insights into the state of the world, including war, crime, death and disease. As you travel with Troy on his one-year life-changing journey, you will undoubtedly laugh at the adolescent humour, cry at his misfortunes, sympathise with his plights and empathise with his feelings as he works through his personal traumas and is forced to learn by his mistakes. Be warned, however: those of a sensitive disposition may also be shocked by some of the diary’s content, possibly offended, but you are, after all, delving into the grimy mind of a pubescent youth! 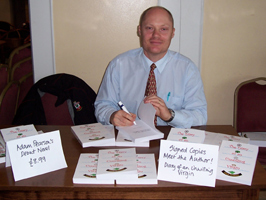 About the Author: Adam Pearson was born in 1966 in Hoo, near Rochester in Kent. He has spent most of his life on the Isle of Wight, but also lived in Penarth in Cardiff for a four-year period. His spare time is spent with his wife and two daughters in Cowes, following Southampton Football Club with a passion and, of course, writing. I thought that it was a good book I really enjoyed reading it - what's next? A very funny and poignant look at teenage life. Suits all ages as testified by a 14 year-old relative of mine, her quote: 'Troy's just like the boys at school!'. Well done Adam. I found it a new, unusual and interesting way of viewing the world. Very good. When Adam Pearson, 39, came across the secret diaries he had written as a teenager, he found himself chuckling at his angst-ridden, adolescent scribblings. 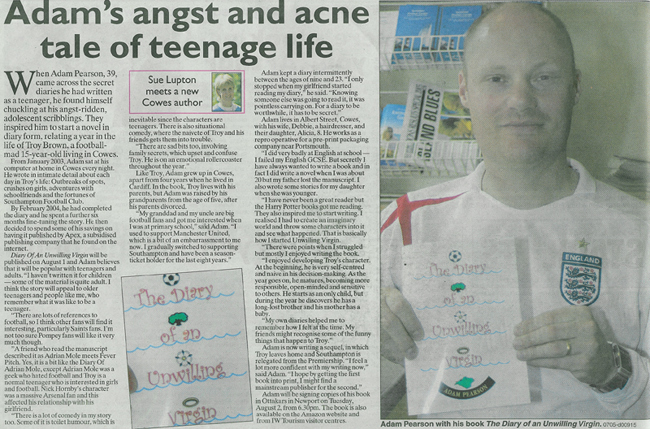 They inspired him to start a novel in diary form, relating a year in the life of Troy Brown, a football-mad 15-year-old living in Cowes. 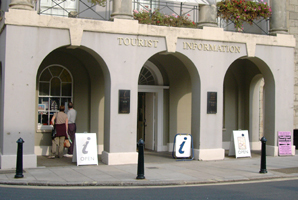 From January 2003, Adam sat at his computer at home in Cowes every night. He wrote in intimate detail about each day in Troy’s life: Outbreaks of spots, crushes on girls, adventures with schoolfriends and the fortunes of Southampton Football Club. By February 2004, he had completed the diary and he spent a further six months fine-tuning the story. 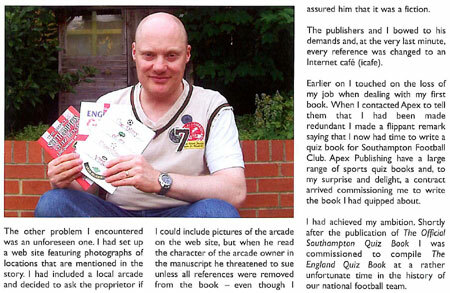 He then decided to spend some of his savings on having it published by Apex, a subsidised publishing company that he found on the internet. The Diary of an Unwilling Virgin will be published on August 1 and Adam believes that it will be popular with teenagers and adults. 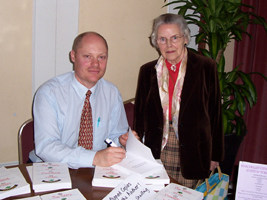 “I have written it for children – some of the material is quite adult. I think the story will appeal to older teenagers and people like me, who remember what it was like to be a teenager. 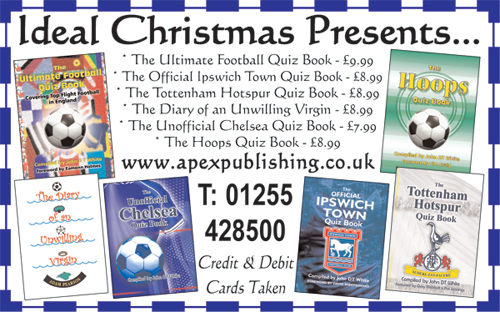 “There are lots of references to football, so I think other fans will find it interesting, particularly Saints fans. I’m not too sure Pompey fans will like it very much though. “A friend who read the manuscript described it as Adrian Mole meets Fever Pitch. Yes, it is a bit like the Diary of Adrian Mole, except Adrian Mole was a geek who hated football and Troy is a normal teenager who is interested in girls and football. Nick Hornby’s character was a massive Arsenal fan and this affected his relationship with his girlfriend. “There is a lot of comedy in my story too. Some of it is toilet humour, which is inevitable since the characters are teenagers. There is also situational comedy, where the naivete of Troy and his friends gets them into trouble. Like Troy, Adam grew up in Cowes, apart from four years when he lived in Cardiff. In the book, Troy lives with his parents, but Adam was raised by his grandparents from the age of five, after his parents divorced. Adam lives in Albert Street, Cowes, with his wife, Debbie, a hairdresser, and their daughter, Alicia, 8. He works as a repro operative for a pre-print packaging company near Portsmouth. “I did very badly at English at school – I failed my English GCSE. But secretly I have always wanted to write a book and in fact I did write a novel when I was about 20 but my father lost the manuscript. I also wrote some stories for my daughter when she was younger. “I have never been a great reader but the Harry Potter books got me reading. They also inspired me to start writing. I realised I had to create an imaginary world and throw some characters into it and see what happened. That is basically how I started Unwilling Virgin. 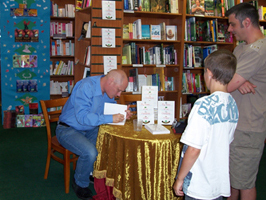 “There were points when I struggled but mostly I enjoyed writing the book. “I enjoyed developing Troy’s character. At the beginning, he is very self-centred and naïve in his decision-making. As the year goes on, he matures, becoming more responsible, open minded and sensitive to others. He starts as an only child, but during the year he discovers he has a long-lost brother and his mother has a baby. 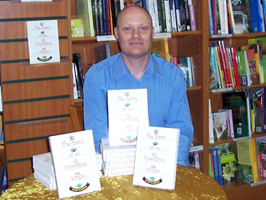 Adam will be signing copies of his book in Ottakars in Newport on Tuesday, August 2, from 6.30pm. 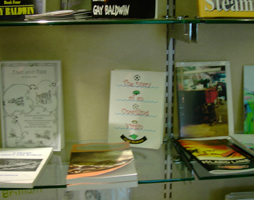 The book is also available on the Amazon website and from IW Tourism visitor centres. 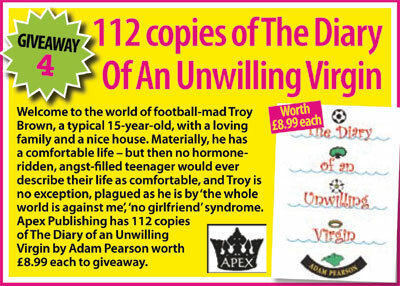 THE Diary of an Unwilling Virgin chronicles the trials and tribulations of 15-year-old Saints fan Troy Brown during 2003, as he comes terms with hormones, life and football. Set against the backdrop of Cowes during Saints’ most successful season for years, Troy’s diary shows us the world as seen by a frustrated angst-ridden teenager. “I was inspired by my own teenage diaries, but didn’t base Troy on them,” said author Adam Pearson. “We all remember what it was like to be 15, even if we’re unfortunately no longer anywhere near it. Adam wasn’t worried about the obvious comparisons his book would get to the hugely successful diaries of Adrian Mole. “Adrian Mole wasn’t a normal teenager, he was a geek who didn’t like football, and I wanted to write about a teenager like the ones you see every day. “Books like this document the time in which they were written, so the Adrian Mole books document an entirely different era. Pearson wanted to readdress the geographic balance too. “No one ever thinks Cowes apart from during Cowes week, and people seem to think of northerners being the most passionate about their football clubs. Adam lives in Cowes and is a passionate Saints fan, so found it made sense for Troy to share the same interests, even though he was worried that it might alienate some people. “I spoke to a Pompey fan who read the book and he loved it, and plenty of women who can’t stand football really enjoyed it. The Diary of an Unwilling Virgin, published by Apex Publishing Ltd, is out now priced £8.99 and is available from Waterstone’s in West Quay. 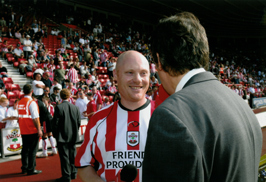 Football-mad Troy Brown is a Southampton fan who lives on the Isle of Wight. This "warts-and-all" look into his 2003 diary as he goes through teenage angst is sadder with The Saints' rock bottom Premiership finish. Midfielder David Prutton has ploughed through it and reckons it is a good read! Adam Pearson was interviewed on 'Win FM 107.2 Radio Station' on 'The Ben Shoveller Show'. 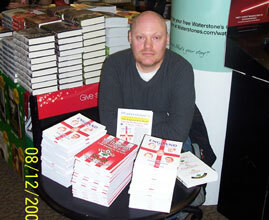 They also ran a competition where they gave 2 copies of the book away. BBC Radio Solent talked about the book on their show. They also ran a competition where they gave a copy of the book away. 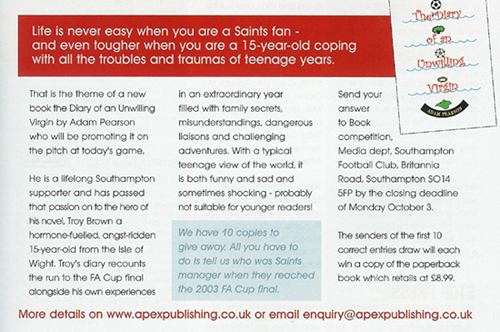 I'm not sure which is worse, being an unwilling 15-year-old virgin or a life-long Saints supporter. Having been the former and still being the latter the only thing I am qualified to say is that hormones do settle down whereas footballing affiliation never goes away. I suffered pretty much everything described here except being called Troy! I’m so glad I’m not a teenager anymore! Brilliant story. Hilarious, sad and enthralling. 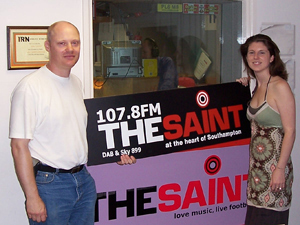 Adam Pearson was interviewed on 'The Saint 107.8 FM Radio Station' on 'The Danielle Perry Show'. They also ran a competition where they gave 5 copies of the book away, these were provided by Apex Publishing Ltd. (Picture: Author Adam Pearson with Danielle Perry). I thought that the book was really good, I liked the way it was written as a diary, making it easier to go back and read at anytime. It was also easy to relate to being a teenager myself knowing what its like and how much pressure you can be put under into doing things by your friends. There wasn’t really a particular part of the book I liked the most as I thought it was all really good. Once I started reading it I couldn’t put it down. All the characters in the book were really life like and most of them seemed like the typical teenagers you would meet. I am looking forward to reading the next one! It was brilliant! I couldn't put it own until I had finished it and my husband was the same. I hope there is going to be another one. It was very good. I enjoyed it. It was not quite as I thought it was going to be - just about football. There were family bits in that made it more realistic and the story of the mum was good. There were twists and turns that you didn’t expect and in the way it was written, like at the beginning, it was easy reading with likeable characters. COME, IF YOU WILL, AND SPEND A YEAR IN THE COMPANY OF TROY BROWN, ET AL, ON THE ISLE OF WIGHT IN 2003 AS TOLD BY THE AUTHOR ADAM PEARSON. 15/16 YEAR OLD TROY BROWN DECIDES TO MAKE USE OF HIS NAN’S ‘NAFF’ XMAS PRESENT OF A DIARY: HE HAS NO IDEA OF WHAT WILL UNFOLD AS HE STARTS TO PEN HIS THOUGHTS AND FEEINGS OF EVENTS THAT TAKE PLACE ON THE ISLAND. IT GRADUALLY BECOMES 12 MONTHS OF ANGUISH, BOREDOM, REJECTION, JOY AND PAIN – ALL SKILFULLY PORTRAYED BY THE AUTHOR. USING AN EASY-TO-READ DIARY FORMAT, TROY’S DAYS COME AND GO WITH EACH TURN OF THE PAGE. THERE IS JUST ENOUGH FLESH ON THE BONES OF THE CHARACTERS AND STORYLINES TO PUT YOU AMONGST HIS FRIENDS AND FAMILY. A COUPLE OF UNEXPECTED TWISTS AND TURNS ALONG THE WAY ADD TO MAKE THIS A VERY ENJOYABLE READ. I FOUND MYSELF NEEDING TO KNOW WHAT WOULD HAPPEN NEXT AS SOME OF THE EVENTS GATHER PACE WITH AN UNEXPECTED FEROCITY. EQUALLY, WHEN TROY’S DAYS ARE BORING AND UNCERTAIN , ADAM’S WRITNG IS FAR FROM IT. PART OF THIS BOOK’S PLEASURE IS IN BEING ABLE TO READ AS LITTLE OR AS MUCH AS YOU WISH AT ANY ONE TIME. YOU DON’T EVEN HAVE TO LIKE FOOTBALL, FAMILIES, OR TEENAGERS TO GET SATISFACTION FROM THIS BOOK! A well written novel. I feel I have been able to lose myself within this story and become part of Troy Brown's life, which shows many highs and lows of a teenager growing up in today's society. All in all an entertaining and enjoyable story. I thoroughly enjoyed the book and wish you every success. I enjoyed the fact that I was able to relate to the locality of the story, being an island resident, like Troy. As I read the diary I found out that his misconceptions were the same as mine and when the truth of some of his theories was revealed, it was very surprising. I also enjoyed it when he went to Cardiff. I didn’t expect to enjoy this book as much as I did. When’s the next one out? I loved the book, it made me laugh out loud. I thought it was brilliant! One of the best books I have read - SO funny! 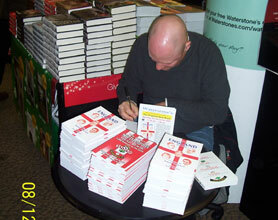 Adam Pearson signed copies of 'The Diary of an Unwilling Virgin' at Waterstone's, Southampton. 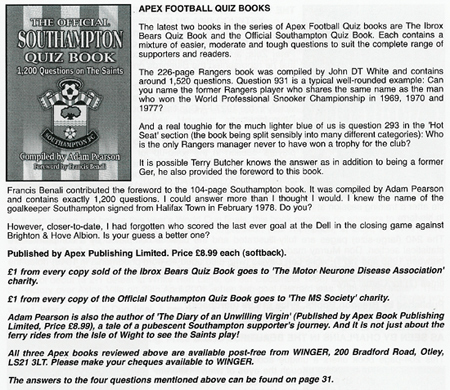 Adam Pearson being interviewed about his book at Southampton Football Club. Adam Pearson, signing copies of his book at the RNLI Charity Book Launch, Island Sailing Club, Cowes, Isle of Wight. Adam Pearson, signing copies of his book at Ottakars Bookshop, Newport, Isle of Wight. 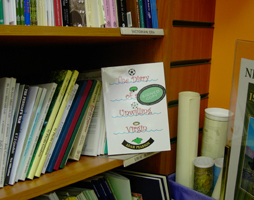 'The Diary of an Unwilling Virgin' on sale at Newport Tourist Information Centre, Isle of Wight. 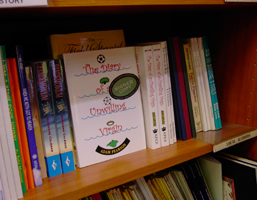 Signed copies of 'The Diary of an Unwilling Virgin' at Ottakars, Newport, Isle of Wight.